When I buy a bundle of celery, I do something, right away, that ensures the flavorful tops will not get tossed into the compost or frozen for making stock. 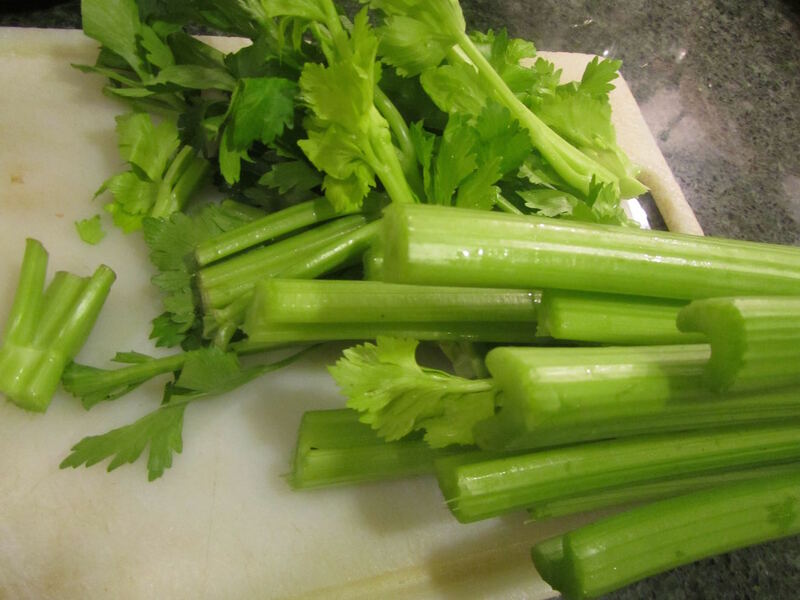 With everyone making their own lunches, now, I noticed on a few occasions that some leafy celery tops made their way into the compost bin. My reaction -- Yikes! That's real food that you are tossing out! Anyway, I had to find a work-around on this one, as nagging does not inspire compliance. When I get those bundles home from the store, I "decapitate" the entire bundle. I chop off the top portion, just beneath the main joint where the long stem meets the leafy branch. I leave all of the stems, in tact, on the bundle and unwashed. There are decay issues if you wash the bundle without pulling the stems off; and leaving the stems still attached to the bundle keeps them fresher, longer. After cutting all of the tops off, I wash those parts, and chop to add to a pot of soup. "Nagging does not inspire compliance." Truer words were never spoken. At least around here. Isn't that how it seems to work?! I have never been able to nag someone into making a permanent change. Ha, ha, Oh, Lili, are you my sister or what? We also might throw it in fried rice or stir fry and always soup! I had my latest bundle that had started to rot and I had not even had that bundle for very long. I got it at Aldi's. It must have been a bad or old batch because I've never had celery rot before. My refrigerator is empty, well, not totally but nothing to make our next meal from. I was hoping to not shop this month. I probably should make some bread using a quicker recipe and then get my sourdough active for weekend baking. We didn't have spaghetti last night due to still having to eat leftovers. Maybe a beef vegetable barley soup. Look at that, ideas for the rest of the week--all from the freezer! oh that is disappointing, about the rotting celery! Awesome -- the week's meal planning is complete! Vegetable barley soup sounds yummy! I prefer the celery leaves for soup, and chicken or tuna salad, good to get ahead of possible noncompliance. My former mom always threw the leaves out, I. Agree it is food. I know quite a few people who throw out the leaves and don't think anything of it. I'm always shocked to see them thrown out. Granted, they're not as nice to eat in the raw state, as they're tougher; but they have so much flavor, for as you said, soup, or chicken/tuna salad. Have a lovely day, Carol! I dry mine, too. 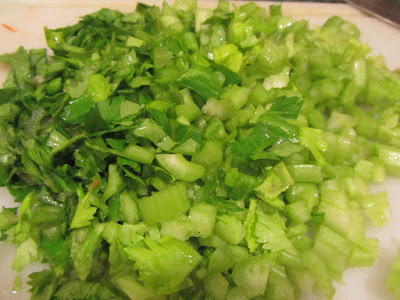 I crumble them and add to things that I need a bit of celery flavor in. It works well since my daughter isn't fond of chunks of celery. That's a great tip, Belinda and Busy Bee! That is such a good way to add flavor and use the leaves. And Busy Bee, it does eliminate any texture issues in the final dish. Have a great week, Belinda and Busy Bee!